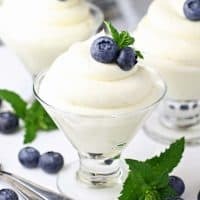 LEMON CHEESECAKE MOUSSE — A delicious, no-bake cream cheese based mousse, with a hint of lemon flavor. An easy but elegant dessert ready in 15 minutes! When it comes to cooking and baking, the most important tools in my kitchen are a good stand mixer and a good hand mixer. From whipping cream to mixing bread and big batches of cookie dough, I use my mixers for just about anything that needs mixing, like this easy Lemon Cheesecake Mousse. Trust me, no matter how you mix it up, you want the recipe for this mousse! It’s super simple and there’s no baking involved, so with a little help, it’s something even kids could make. We enjoyed ours with fresh berries, but it’s completely delicious on its own. This is the kind of easy dessert recipe that will impress guests, but takes almost no time to make. Fifteen minutes, to be exact! I like to serve this mousse in individual dessert dishes. Small Mason jars are fun too! You could even add a graham cracker crust in the bottom of your serving dishes. It also make a great filling for a layer cake, pies, or tarts. It’s such a versatile, pretty, delicious dessert, you’ll find yourself making it again and again. This dessert is elegant but easy, which makes it perfect for entertaining, special events, or just everyday enjoyment. It’s destined to become your go to dessert recipe for any occasion. 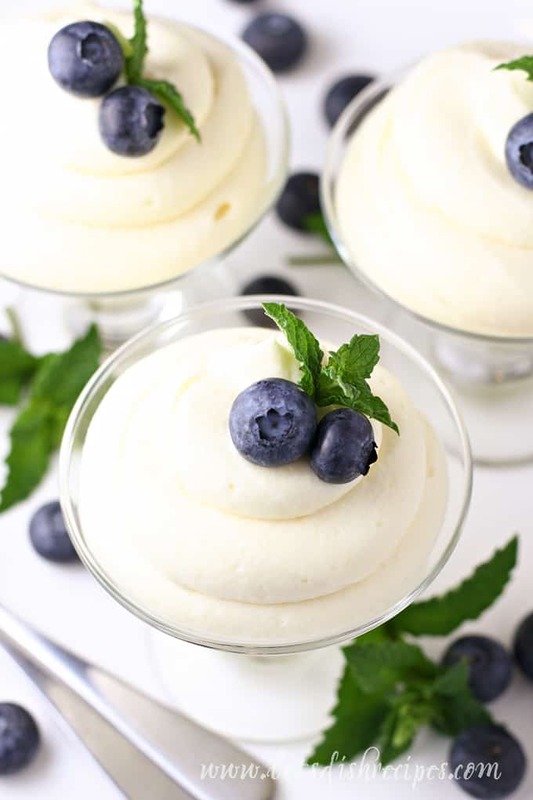 Be sure to save this Lemon Cheesecake Mousse recipe to your favorite Pinterest board for later. 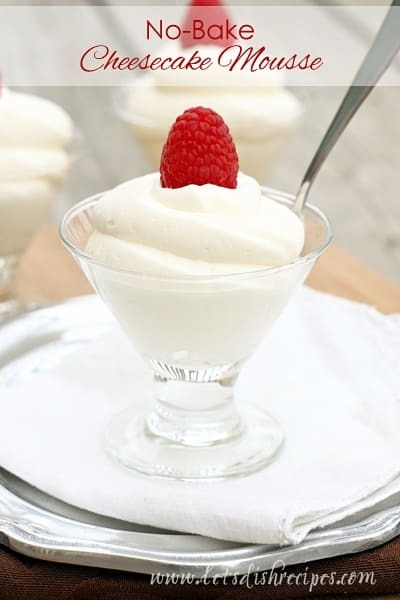 This creamy lemon mousse is an easy but elegant dessert that's ready in about fifteen minutes! In a medium bowl, whip the cream with an electric mixer until stiff peaks form. In the bowl of a stand mixer, beat the cream cheese and lemon curd or pie filling until smooth. Stir in the vanilla and powdered sugar and mix until combined. Fold in the whipped cream until fully incorporated. Pipe or spoon the mousse into serving dishes. Refrigerate until serving. Garnish with fresh berries, if desired. *This is a sponsored post for Hamilton Beach, but all opinions stated are my own. I would love to win one of these for a friend of mine. She really needs a mixer. It’s gorgeous!!! I can’t wait to try it. Thanks for the opportunity to win! Would love to have a mixer like this in my kitchen 🙂 Can’t wait to try this recipe out! This dessert looks so creamy and fluffy! Thanks! I can’t wait to try out this recipe…love lemon! 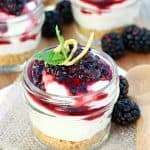 I want to make this recipe for lemon cheesecake dessert and would like to know if you had used a pastry bag to fill the glasses and if so what tip did you use ? Your presentation is flawless! P.S. forgot to ask what glassware used and what size,high ball,shot glasses etc.Thanks! Kind regards from the Netherlands. We’re gonna try this recipe in a day or two. Can’t wait… Thanks! Any idea how far in advance you could make these? 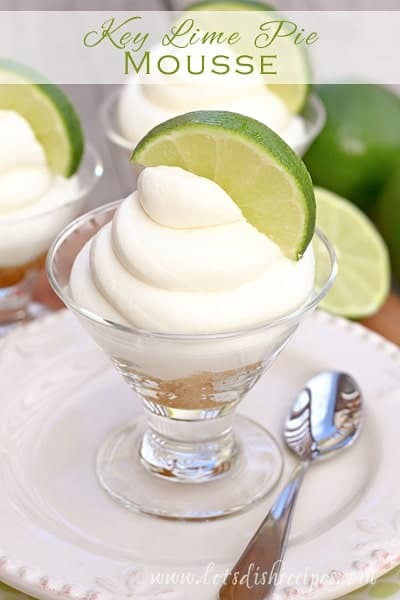 I want to make them for my daughter’s birthday (she loves lemon flavored desserts) but am not sure if it would be okay to make them the night before. What do you think? Oh, I forgot to add earlier… I used the extra dessert as a topping for cupcakes…VERY versatile. All the wonderful things you can do with a Hamilton Beach stand Mixer, and this delicious sounding Mousse recipe is just one of them. it looks great love to oun one of those.i could do so much with this. As I was reading the recipe it said it serves 8. are the 8 servings for the same size shot glass you used? If so I may need to double this recipe. Looks delicious and I may want to serve it in a bigger portion such as a wine glass for my guests. I would double the recipe for a wine glass sized serving. You may get a few more than 8, but better than not having enough! I think that would be fabulous! Is the lemon pie filling just a cup of the powder or do you add a cup of the pudding after it’s cooked? You use prepared lemon pie filling or prepared lemon curd, not powder. Can I use whipped cream instead of whipping cream? Yes, but you would have to use more. 1 cup of whipping cream will whip up to about 2 cups of whipped cream. This is my new “go-to” simple dessert. I serve in 2 oz. cups. I make this a lot. Often I substitute a dense plain yogurt like Siggies. If I want to really make the lemon flavor pop I add lemon extract. Everyone loves this dessert. This will be perfect for the cake that I am making for my parents anniversary! I can’t wait to try this. Does the powdered sugar serve as any other purpose than to sweeten or do you need it for bulk too? I would like to avoid using it if possible. Thanks. It is just for sweetening. Can you replace the powdered sugar with a sugar substitute to make it keto friendly? I haven’t tried it but I can’t see why not. Can you make a day ahead? Enjoyed this very much. The cream cheese should be blended by it self first. It took forever to get it smooth. I will make it again! What about making this coconut flavored ? If you can figure out what to use in place of the lemon curd that would give it a coconut flavor, that would probably work. I’m not sure…..coconut cream maybe? How long do you think this will keep? I would like to make individual desserts for my MIL to have over several days. I’d say 3-4 days at least. 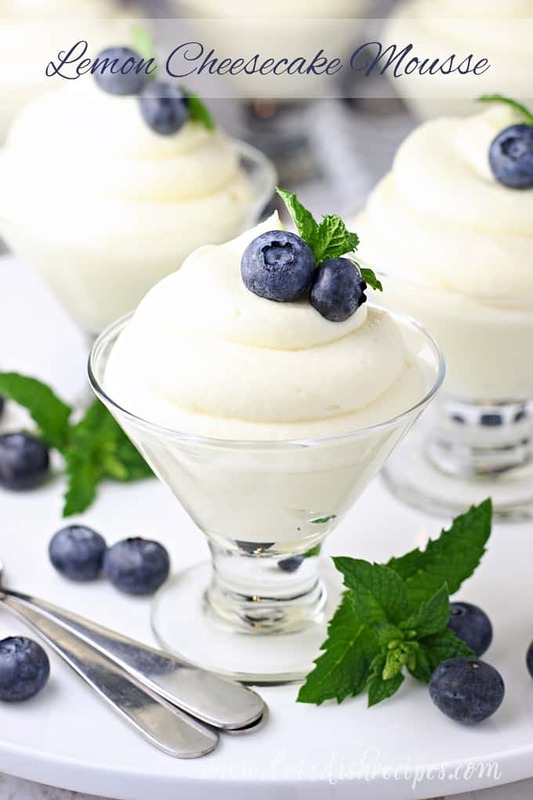 I’ve made this lovely Lemon Cheesecake Mousse twice now. after it was prepared. I ran the mixer for quite some time. would that not make a difference. I think that would be fine. I also find that name brand cream cheese (usually I love generic or store brand) always seems to come out more smooth. maybe next time I’ll try the tub or a store brand.